The Beatles were rejected by just about every major record company in the UK. Finally, manager Brian Epstein persuaded Sir George Martin to listen to the group. Impressed, Martin signed them to a contract with Parlophone, a division of recording giant EMI. 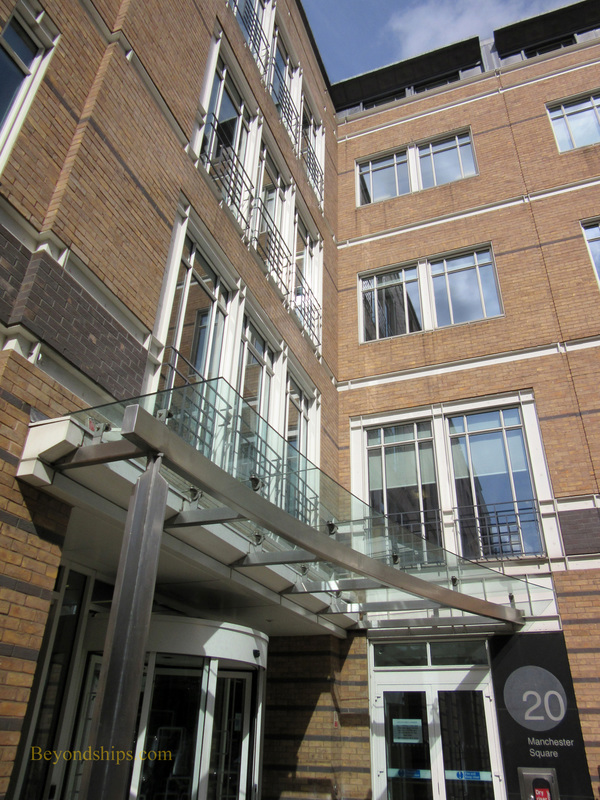 For the cover of their first UK album “Please, Please Me,” the Beatles posed on a balcony at EMI House at 20 Manchester Square. They returned there in 1969 and posed in the same location for the cover of an album tentatively to be called “Get Back.” The album was subsequently released as “Let It Be” with an entirely different cover. The two photos were used after the band broke up as covers for two collection albums. “The Beatles 1962 – 1966,” popularly known as the “Red Album,” used the early photo of the group as the cover. “The Beatles 1967-1970,” the “Blue Album” used the photo taken in 1969. The building at 20 Manchester Square still remains but has been renovated with a different facade. Still, with some imagination you can still get an idea of what it looked like back then. Manchester Square is north of Oxford Street near Selfridge's department store. The Wallace Collection is next to number 20. 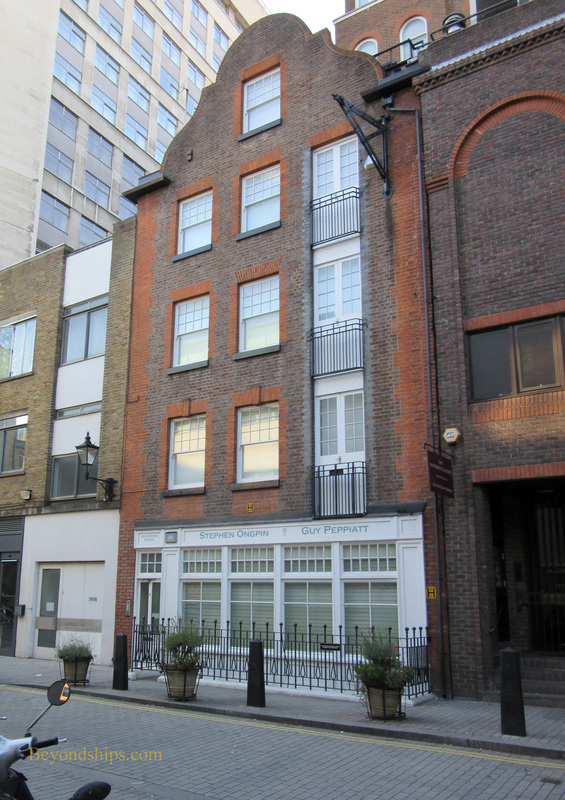 Hidden in St. James is Mason's Yard, a close off of Duke Street. It includes two places with connections to the Beatles. The Scotch of St. James was a club where London's rock elite could go and relax without being pestered by fans. Paul McCartney and George Harrison reportedly were patrons. Jimi Hendrix gave his first impromptu London performance there. The club closed in the 1980s. However, the Scotch re-opened in 2012 as a fashionable drinking club. As in the Swinging 60s, entry is still limited to people who know someone and people with the right look. Also in Mason's Yard was Indica Books and the Indica Gallery. The bookshop was upstairs and the gallery was in the basement of 6 Mason's Yard. 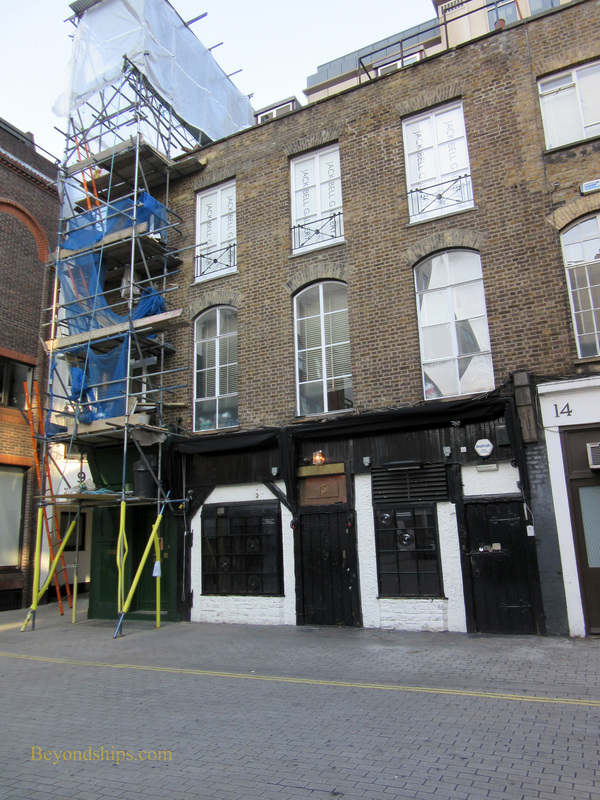 This was a counterculture center for Swinging London. One of the participants in this venture was Peter Asher of the pop duo Peter and Gordon. At the time, Peter's sister Jane Asher was Paul McCartney's girlfriend. Paul became interested in the Indica venture and helped to construct the shop, drew flyers for the opening and designed the wrapping paper. In November 1966, John Lennon stopped by the gallery and met an artist who was exhibiting there named Yoko Ono. The Indica Gallery has long since closed. However, the building remains. Mason's Yard is off Duke Street just down the hill from the intersection with Jermyn Street on the left side. The center of the yard is now occupied by a building called The Cube. At number 13, the Scotch is on the east side of the yard. Number 6 is on the north side. Above: The Scotch of St. James. ​Below: The site of the Indica Gallery. The Beatles's unprecedented popularity (i.e., Beatlemania) drew the attention of United Artists who signed the Beatles to a contract for three movies. Its primary objective reportedly was not to make films but to secure the rights to make soundtrack albums from the movies. Therefore, the first of these films was to be a low budget, black and white film. “A Hard Days Night” was filmed under the direction of Richard Lester over six weeks in March-April 1964. It became not only a financial success but unlike many of the films made around this time in order to capitalize on the popularity of various pop groups, it was also a critical success. The opening sequence in the film involves a train arriving at one of London's major rail stations. Often misidentified as Paddington Station, the filming was done at Marylebone Station. Marylebone remains an active station. 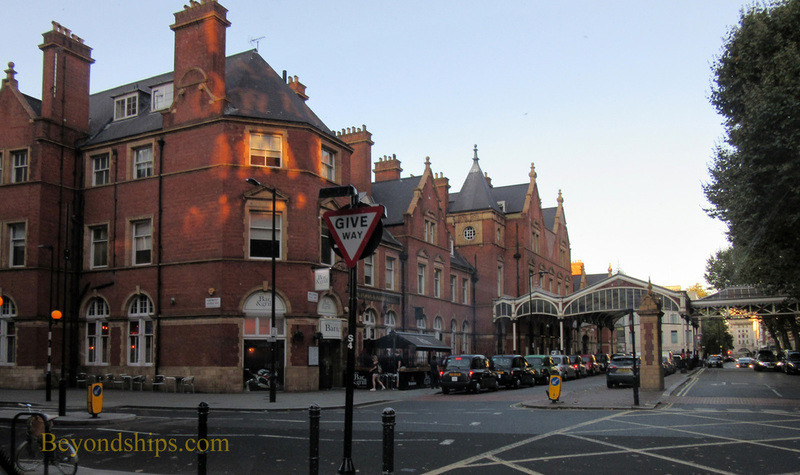 Marylebone Station is, of course, located in Marylebone. There is a tube station of the same name.